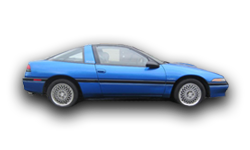 Diamond-Star Motors may be gone, but the vehicles that resulted from this joint manufacturing venture continue to reside in the garages of automotive enthusiasts everywhere. 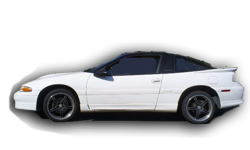 Modern Automotive Performance got its start offering DSM aftermarket parts, and we continue to be the authority for anyone who owns one of these glorious Chrysler or Mitsubishi sports cars from 1990 to 1999. 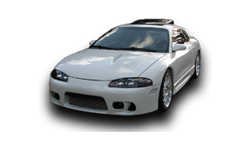 Whether your old reliable bears the nameplate of a 1992 Plymouth Laser, a 2G Mitsubishi Eclipse GSX or a soaring first-generation Eagle Talon TSI, MAP has the best DSM performance parts, DSM replacement OEM parts and 4G63 engine mods to keep your coupe thriving on the road for years to come. 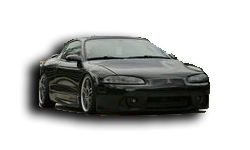 As the aftermarket performance part leader, we pride ourselves on carrying DSM parts that no one else does. Upgrade that older factory turbocharger with DSM turbo components, hug the road using DSM coilovers, bolt on 50 horsepower with a DSM performance intake manifold or overhaul your entire power plant with MAP’s DSM engine rebuild kits. 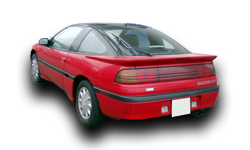 Our interchangeable Eagle Talon, Plymouth Laser and Mitsubishi Eclipse parts catalog is unmatched, and if you’re still having trouble finding the part you need, just let us know and we’ll head to the well of our vast resources in search of it. 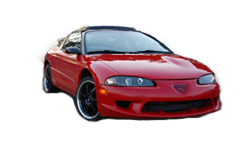 Whether you’re looking to go cruising on off days or show the kids that an older coupe can still get it done, MAP has the parts and accessories that DSM car owners need. We know DSM better than anyone, and we’re ready to help you soar like an Eagle, keep Laser focus and Eclipse your personal best. 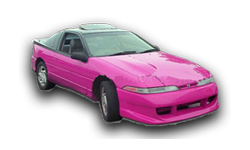 If you find a lower price on any of our high performance DSM parts, we will match it, and any orders over $199 ship free so you can afford to bring your car into the modern age. You can get started by clicking on the category pages above, checking out popular search terms below or contacting us to speak with one of our representatives.